Newbie here, just inherited a large (250+ page) doc written in LaTeX after the previous author left the company. Is there an easy way to determine all the LaTeX packages installed on my system? I'm using Ubuntu 12.10 as a workstation and I installed texlive-full and a couple other packages when I was initially trying out LaTeX. I got a list of the packages that the project uses from the .tex file, so I know which packages I need. But it seems like there are multiple places on my system where packages were installed, so I'm having problems figuring out if the necessary packages are all there. Is it possible to get a full list of all LaTeX packages installed? Or even a list of all locations where the packages are stored would be enough. It seems like there are packages installed in multiple locations across my system, so I can't just simply look under the texmf folder. There's some stuff there that I wouldn't have expected, like gnuplot-x11, but dpkg -L shows that it includes a gnuplot-lua-tikz.sty. Who knew?! I am very reluctant to install anything that is not in official packages from a Linux distribution, but LaTeX and R are the exceptions that confirm my rule. Uninstall all the .deb packages related with LaTeX. Install the recent TeX Live 2013 followings instructions from www.tug.org. I do not think that obtain that list justifies the download of some gigabytes and change the installation, but it is a good excuse to have tlmgr so you can update and install all the latest TeX Live packages that you will need. 2>/dev/null is to suppress "Permisson denied errors"
Not the answer you're looking for? Browse other questions tagged packages installing texlive ubuntu or ask your own question. Is there a similar manpage for LaTeX packages/template? 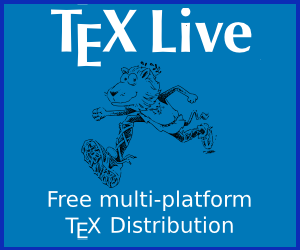 How to install “vanilla” TeXLive on Fedora? What is the smallest functioning version of Latex to be installed on Fedora 21?